WARSAW, Poland (AP) — The U.S. ambassador to Poland triggered anger in Poland with a letter to the prime minister that takes his government to task over its treatment of a U.S.-owned independent television station. 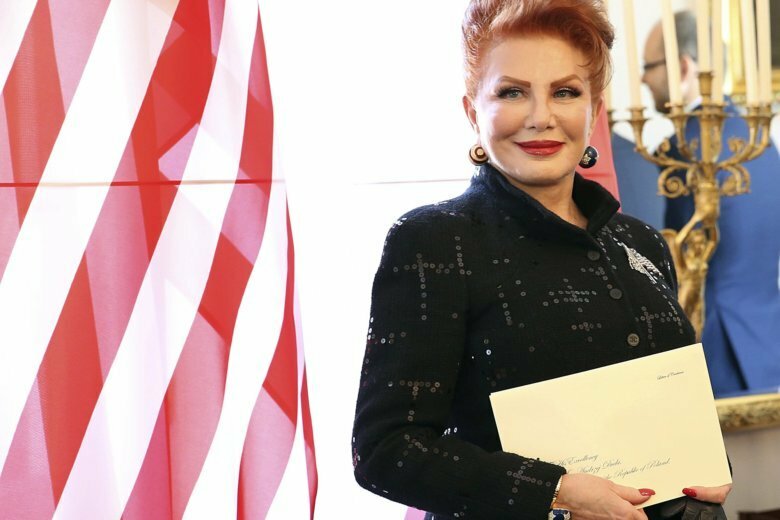 The letter from Ambassador Georgette Mosbacher circulated in Polish media Tuesday. It misspells the last name of Prime Minister Mateusz Morawiecki and addresses him with the wrong title, as well as misspelling the name of the interior minister. Overall, ties between the U.S. and Poland are good and Poland is lobbying for a permanent U.S. military base that it has promised to name “Fort Trump.” Poland’s conservative, nationalist government also has a lot of ideological similarities with U.S. President Donald Trump. It was not clear who leaked the letter and government officials seemed eager to play it down. Mosbacher, a Trump appointee, said she wrote to express “deep concern” over government treatment of TVN, a Polish broadcaster owned by the U.S. company Discovery. The station is seen in Poland as representing a liberal viewpoint critical of the conservative government. TVN broadcast undercover footage in January that showed members of a Polish neo-Nazi group celebrating Adolf Hitler’s birthday last year. Recently authorities said they wanted to prosecute the undercover reporter on suspicions of propagating fascism, a move denounced by some as absurd and an attempt to harass the station. The plan was dropped on Sunday. “I hope that members of your government will refrain from attacking, let alone prosecuting, independent journalists, who articulate public interests and strengthen our societies,” she wrote in the Nov. 19 letter. The U.S. Embassy in Warsaw said it “cannot comment on official diplomatic correspondence,” a statement many interpreted as confirmation of the letter’s authenticity. Polish commentators said they found the tone and the mistakes to be disrespectful. Mosbacher made similar remarks about media freedom in a meeting in parliament last week, prompting deputy prime minister, Jaroslaw Gowin, to cancel a meeting with her, according to Polish media reports. Some critics of the Polish government said they agreed with the basic message of the letter. Human rights groups and the European Union have been expressing concerns about the state of democracy in Poland over new laws that have eroded judicial independence and the ruling party’s transformation of public media into a propaganda tool. Michal Szuldrzynski, a commentator at the Rzeczpospolita newspaper, said the incident could signal a deterioration of relations with Washington and noted critically that the “anti-American hysteria” was being unleashed amid new Russian aggression against Ukraine. He said that the while aspects of the letter were unfortunate, the Polish government has shown signs that that it would restrict media freedom if it could. “And if in the name of freedom of speech the American ambassador writes that politicians shouldn’t attack media, one could spitefully say that an identical letter should be sent to President Donald Trump,” Szuldrzynski wrote. TVN, bought for $2 billion by the U.S. company Scripps Networks Interactive, was the largest U.S. investment ever in Poland. Scripps has since been bought by Discovery, Inc., based in Silver Spring, Maryland. Marcin Makowski, a reporter for the conservative weekly Do Rzeczy and the Wirtualna Polska portal, said there was a belief in Polish ruling circles that Mosbacher “doesn’t really support a free media” but was backing a U.S.-based business.